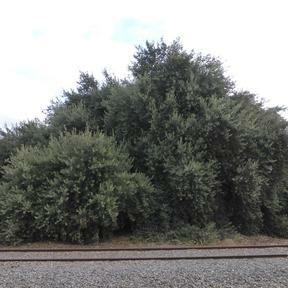 The Cork Oak Quercus suber was planted at the Dunolly Railway Station circa 1875. 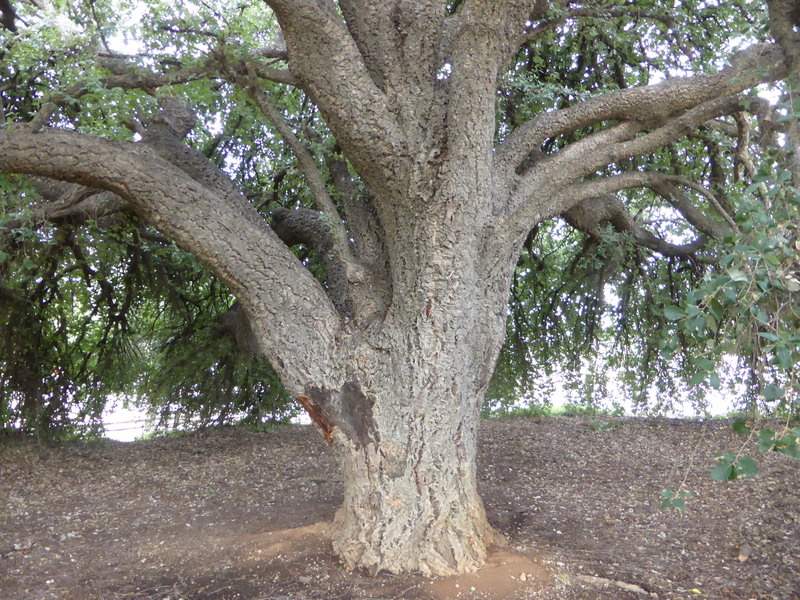 This Cork oak is significant for aesthetic and scientific reasons at State level. 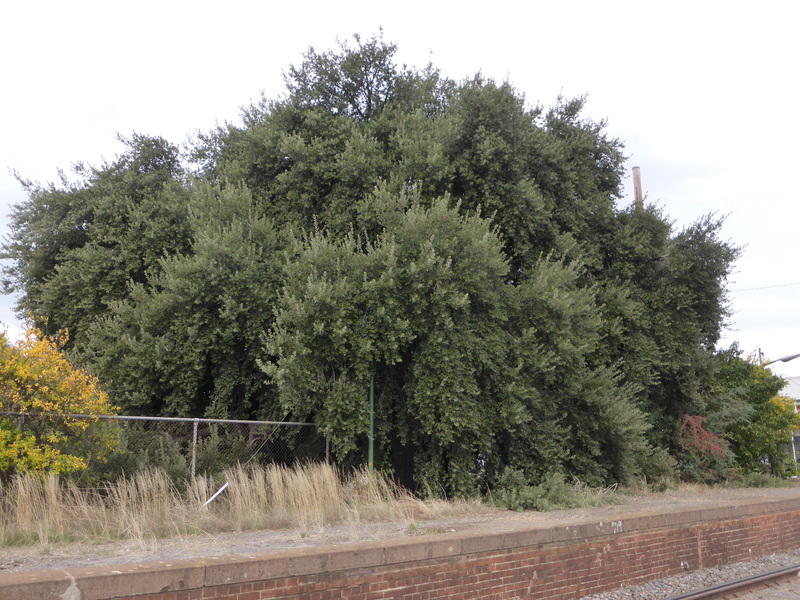 This Cork oak is located in the Dunolly Railway Station, constructed in 1874 for the Victorian Railways by ST Weeks on the Donald-Ballarat line and included on the Victorian Heritage Register (H1670). It makes a significant contribution to the historic railway precinct. It is an outstanding specimen for its large height at 13m, impressive canopy spread of 22.5m and trunk circumference of 3.85m at 1m and 4.68m at 1.4m. It is commonly believed the tree was planted in 1875, not long after the station was built in 1873. In the 1980s when the train line was going to be upgraded to standard gauge the community was very concerned the proposed route was to be laid through the tree's location. This would have destroyed this historic landmark and the community was understandably very upset. Fortunately the route of the line was altered due to public pressure. 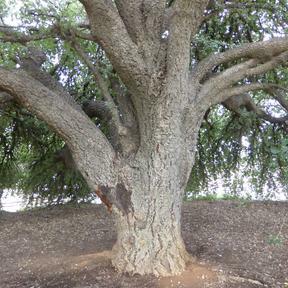 In 2008, the Northern Goldfields Tourism Association commissioned an aborist to assess the health of the tree because they recognised it as a tourism asset for the town. Passenger trains do not stop at the Dunolly Railway Station nowadays as the domestic line has been closed. However grain is still loaded at the terminal and every season the farmers gather under the shade of the tree to chat and wait in the cool shade for their trucks to be unloaded. Tourists staying at the Dunolly Caravan Park, opposite the Cork Tree also visit the tree to admire it. The tree is significant to the community because of it's age, beauty and location. 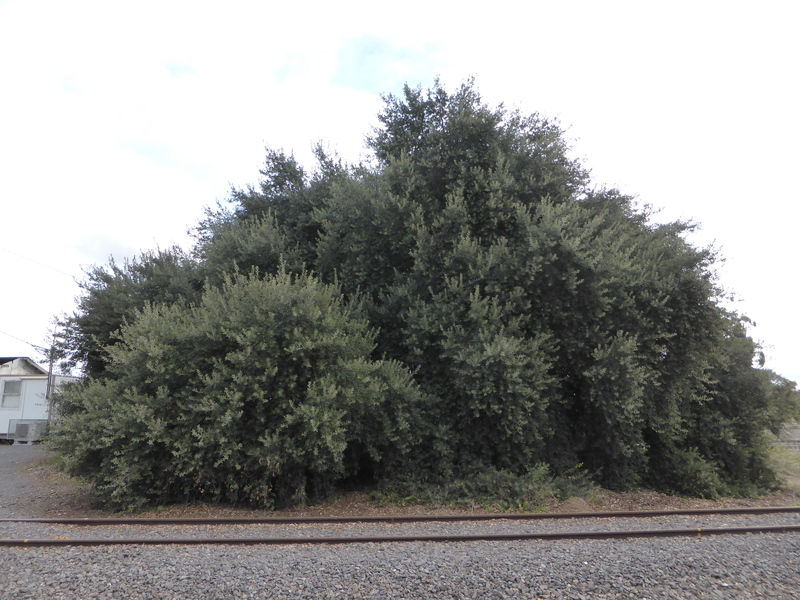 It was originally planted next to the railway line, between the station master's house and the Dunolly Railway Station. 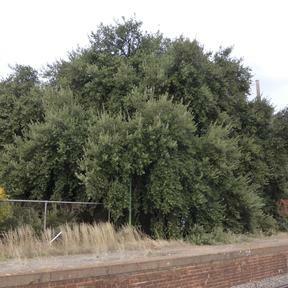 The tree is located at the entrance to the Dunolly Railway Station. There is a strong community attachment to the tree. Over several decades, local residents have written many letters published in the local paper "The Welcome Record' concerning the tree and its importance to the community. The local Museum has printed articles on the background of the tree as far as it is known. Local residents have been quite vocal in their support of community ownership and stewardship of the tree.